Last spring, as I walked through Amsterdam’s verdant Vondelpark on my way to meet with staff from UTZ, it felt like a homecoming. 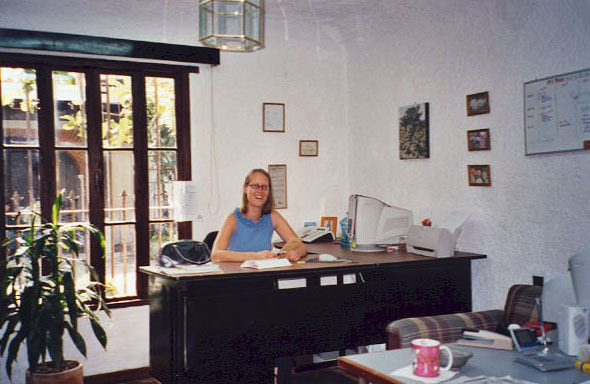 Not only because I was back in the country of my birth—I’m a Dutch national living in Guatemala, where I direct global programs for the Rainforest Alliance—but because I started my career with UTZ almost 20 years ago. Knowing both organizations as well as I do, I couldn’t be more pleased to see them joining forces now through an unprecedented merger. By pooling the energy, skills, and expertise of these two organizations, the new Rainforest Alliance promises to make an even greater positive impact on livelihoods and conservation worldwide. When I moved to the remote, dazzlingly green mountains of Guatemala in 1999, I was charged with developing its coffee certification system. This was no simple task, since entire villages were embedded within coffee farms. But we believed that if we could succeed in Guatemala, we could succeed anywhere—and in fact the program grew rapidly, locally and internationally. UTZ moved its headquarters to the Netherlands a couple of years later, while I remained in my beloved adopted country, eventually taking a position with the Rainforest Alliance. By then the Rainforest Alliance had made a name for itself not only in agriculture certification, but in forestry and tourism too. Both the Rainforest Alliance and UTZ agriculture certification programs grew quickly from the time of their inception—and with good reason. Credible, third-party sustainability certification programs like ours remain one of the most effective sustainable development tools available in the world today. Certification has catalyzed more direct technical assistance and training for smallholder farmers around the world than many other initiatives. When a company commits to purchasing certified ingredients, for example, it will often support farmers in meeting the requirements for certification with training on sustainable farming methods, including safe pesticide use, record-keeping, or preventing soil erosion. Scientific research confirms that certification drives improvements in both rural livelihoods and ecosystem health across a diversity of crops, countries, and farms. Two recent1 independent studies found that Rainforest Alliance agricultural certification is associated with higher household incomes and lower rates of poverty for coffee-farming households, compared to non-certified farms. Three studies2 found that Rainforest Alliance certification had a positive effect on forest quality, with one study concluding that these benefits extend beyond the farm boundary and into neighboring areas. Likewise, independent studies3 confirmed that farmers in the UTZ certification program, experience better economic conditions over time as a result of higher yields, lower production costs, and sometimes higher prices. Several studies4 also found that the environmental conditions and practices on UTZ certified farms improve over time and are generally better than on non-certified farms. I’ve visited training sites and certified farms around the world and seen for myself the positive impacts of such programs: farmers handling and storing agrochemicals safely, protecting local streams and rivers from pollution, increasing their productivity, enjoying better access to health care, and seeing their children stay in school longer. Farmers often point out how implementing the practices outlined in the standard help them become better managers, just by working in an organized way. I find it especially moving to see the pride of smallholders when they take on the challenge of certification. 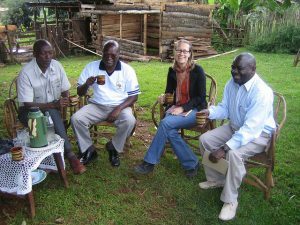 I remember when, on the eve of Barack Obama’s election to the US presidency, a group of Kenyan tea farmers chanted, “Yes, we can!” as they collectively signed up to start the certification process. Yet it’s important to remember that as powerful and effective as certification is, it is not a silver bullet that can solve a society’s entrenched political, economic, and environmental problems. While the involvement of the private sector is paramount for long-term, sustainable growth in developing countries, issues related to workers’ rights and human rights, the enforcement of national legislation, freedom of association, and power imbalances in the supply chain (such as price-pressure on producers), can only be addressed through persistent cooperation among local, national, and international actors from civil society, the private sector and government. This is why we work at the farm, sector, and landscape level—and why we value research by institutes, feedback from farm workers and unions, and critical journalistic reports that provide information and insights that are sometimes hard to uncover during audits. Managing a certification program—which means safeguarding objectivity in a setting highly influenced by different and competing interests—is hard work. By definition, it is dynamic, and improvement is always ongoing. This is exactly why it’s so exciting to see UTZ and the Rainforest Alliance join forces. We are already working to create a new certification program that will build on our combined experience, talent, and capacity for innovation. We will continue to advance methodologies to make audits even more beneficial to farmers and harness new technology wherever possible. UTZ’s First Mile program, for example, already offers farmers simple digital tools to collect data from the field so they can easily see where adjustments in practices should be made. The Rainforest Alliance’s own innovative farmer training app serves a similar purpose, and it also lets farmers access crucial information about everything from natural pest management and climate-smart farming methods to labor practices—farmers can even share best practices with one another. Together we will build on these and other innovations to continue to strengthen certification. When it comes to addressing the world’s most urgent challenges, we’ve learned that certification works best in conjunction with other transformative tools. Both organizations came to the merger with a long track record of providing training and support to rural communities, as well as advocacy; both played principal roles in the Global Living Wage Coalition, for example, and UTZ’s Dutch government-funded Sector Partnerships program focuses on key issues such as climate change resilience and gender equality. Climate-smart agriculture, increasing financing for sustainable production systems, strengthening market linkages, addressing supply chain inequality, and promoting social and environmental justice are just some aspects of our work that will flourish as a result of the merger. I would have never dreamed, 20 years ago, when I went to work for a budding certification organization in the mountains of Guatemala, that someday that organization would become an international certification powerhouse and then merge with my future professional home, one of the most trusted and respected conservation leaders in the world—or that I would be part of that exciting merger. It’s a tall order, but our collective passion and expertise will put us that much closer to building a world in which people and nature thrive in harmony. We invite you to join us on this journey. 1*Akoyi KT, Maertens M (2017). 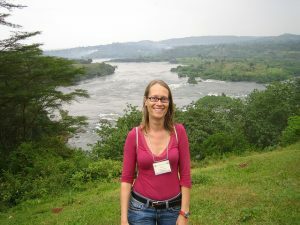 Walk the Talk: Private Sustainability Standards in the Ugandan Coffee Sector. The Journal of Development Studies, DOI: 10.1080/00220388.2017.1327663. Fenger NA, Bosselmann AS, Asare R, de Neergaard A. (2016). The impact of certification on the natural and financial capitals of Ghanaian cocoa farmers. Agroecology and Sustainable Food Systems 41(2), 143-166. DOI: 10.1080/21683565.2016.1258606. 2Mitiku F, Nyssen J, Maertens M (2018). Certification of semi-forest coffee as a land-sharing strategy in Ethiopia. Ecological Economics 145: 194-204. Mitiku F, De Mey Y, Nyssen J, Maertens M (2017). Do Private Sustainability Standards Contribute to Income Growth and Poverty Alleviation? A Comparison of Different Coffee Certification Schemes in Ethiopia. Sustainability, 9, 246; doi:10.3390/su9020246. Takahashi R, Todo Y (2017). Coffee Certification and Forest Quality: Evidence from a Wild Coffee Forest in Ethiopia. World Development, 92: 158-166. DOI:10.1016/j.worlddev.2016.12.001. Waarts, Y., Ingram, V., Linderhof, V., Puister-Jansen, L., van Rijn, F., & Aryeetey, R. (2015). Impact of UTZ certification on cocoa producers in Ghana, 2011 to 2014 (No. 2015-066). LEI Wageningen UR. 4 “Evaluation of UTZ in the Indonesian Cocoa Sector.” Aidenvironment, Mar. 2016. Grüninger, Beat & Schiesari, Carolina. (2015). Effects of UTZ certification according to Brazilian farmers. ISEAL Alliance, 12 June 2016. Stronger together! And, for more impactful development of commodities value chains.